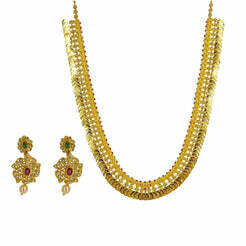 22K Yellow Gold Ornate Pattern Pendant & Earrings Set for women. 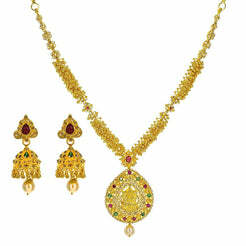 Necklace features a 16" foxtail chain with a beaded pendant with hand paint finish accents beaded drop balls. Total weight is 29.6 grams. 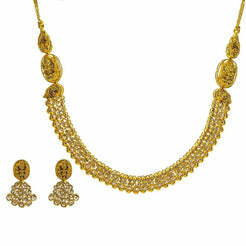 This unique set is perfect for weddings and special occasions.